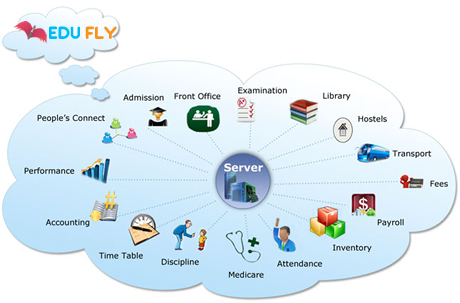 EDUFLY Campus Management Software is the right solution having the whole features for your institution. Its provides user friendly control panel with login access to all the teachers, students, parents, admin and management team of the institution. EDUFLY College Management Software has complete range of modules for your educational institute as well as college and university. A comprehensive ERP software for Universities and Colleges. Brings Parents, Students, Teachers and Management on common interactive platform.